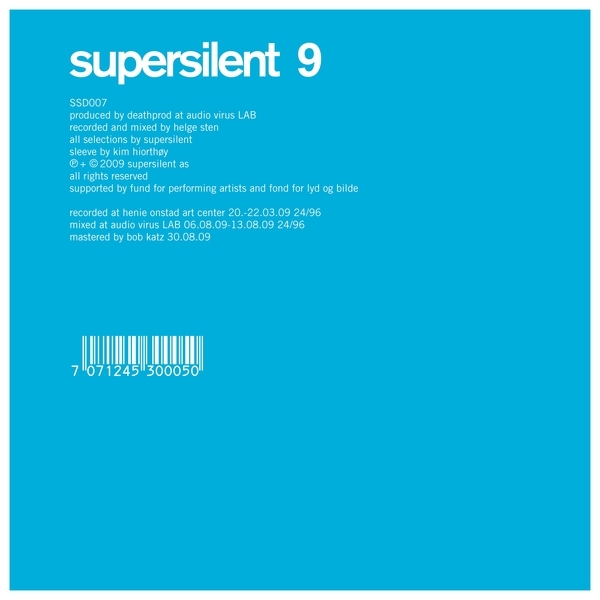 ”9” was Supersilent's first recorded output since the departure of drummer Jarle Vespestad in late 2008. "This spurred no less than 3 recording sessions and the four tracks that make up this album are all taken from a session at Henie Onstad art center just outside Oslo where all three members rigged themselves with Hammond organs and nothing more. The result is nothing short of spectacular and probably their most avant garde and otherworldly recording so far and once again shows a band never looking back and always pushing their limits."